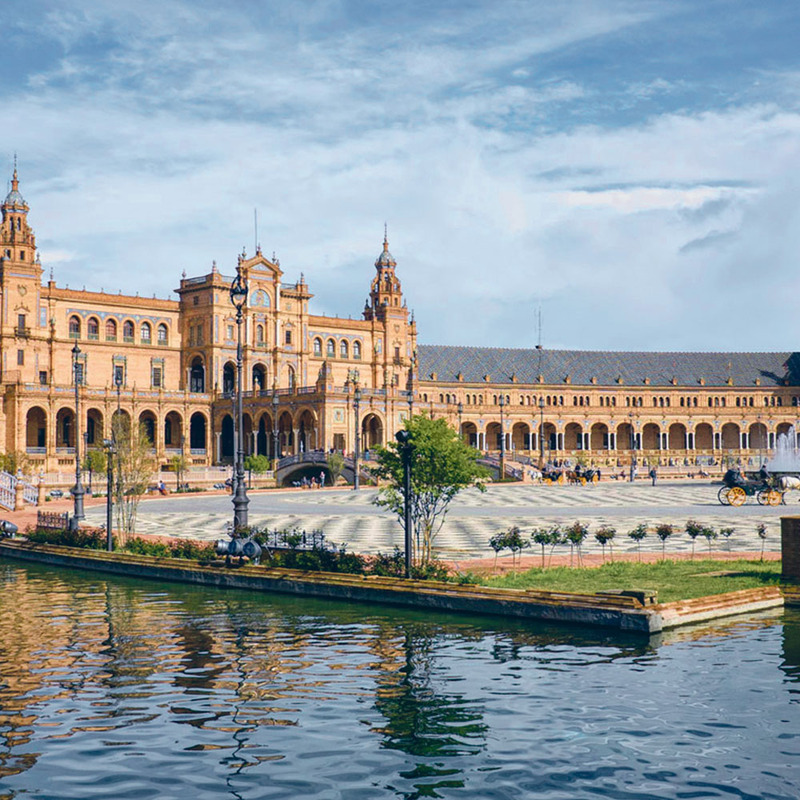 Experience Andalucía’s magical fusion of Spanish and Moorish cultures as you discover Seville’s vibrant streets and conquistador heritage, Granada’s wondrous Alhambra and the dazzling Mezquita mosque in Córdoba – and much more. Andalucía is simply one of the most beautiful corners of Europe yet for many it remains relatively undiscovered. It’s a land where the excesses of the modern era seem not to have taken root and where travellers are genuinely welcomed. Immortalised by the writings of Ernest Hemingway and beloved by Orson Welles, Spain’s southernmost region is a tapestry of rugged, fragrant and sun-kissed countryside, covered by green olive groves stretching into the distance under a perpetually azure-blue sky. With biscuit-coloured plains, untamed rivers, deep gorges and the spectacular snow-capped Sierra Nevada mountains providing the backdrop, there are few places on earth boasting such a wealth of natural wonders in such a small area. Tiny whitewashed villages perch on the hilltops, with narrow winding streets where every house has window boxes crammed with colourful flowers, adding touches of vitality to these sleepy hamlets little changed since the days of Christopher Columbus. 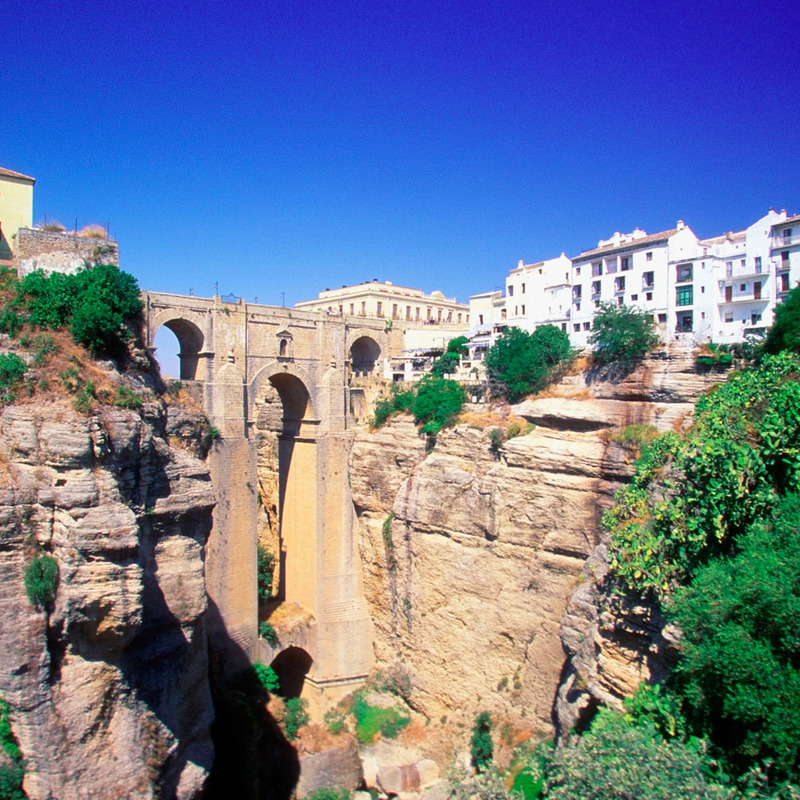 Andalucía has a long and violent past stretching from the dawn of civilisation. The Phoenicians and ancient Greeks traded, whereas Julius Caesar fought here, as did Hannibal. The region is crammed with legacies of different cultures from throughout the centuries, especially the Moors whose architecture adds such magical appeal. Without doubt, the jewels in Andalucía’s crown are the cities of Seville, Córdoba and Granada, which have some of the most important monuments anywhere in the world, many of which are designated as UNESCO World Heritage Sites and are protected accordingly. 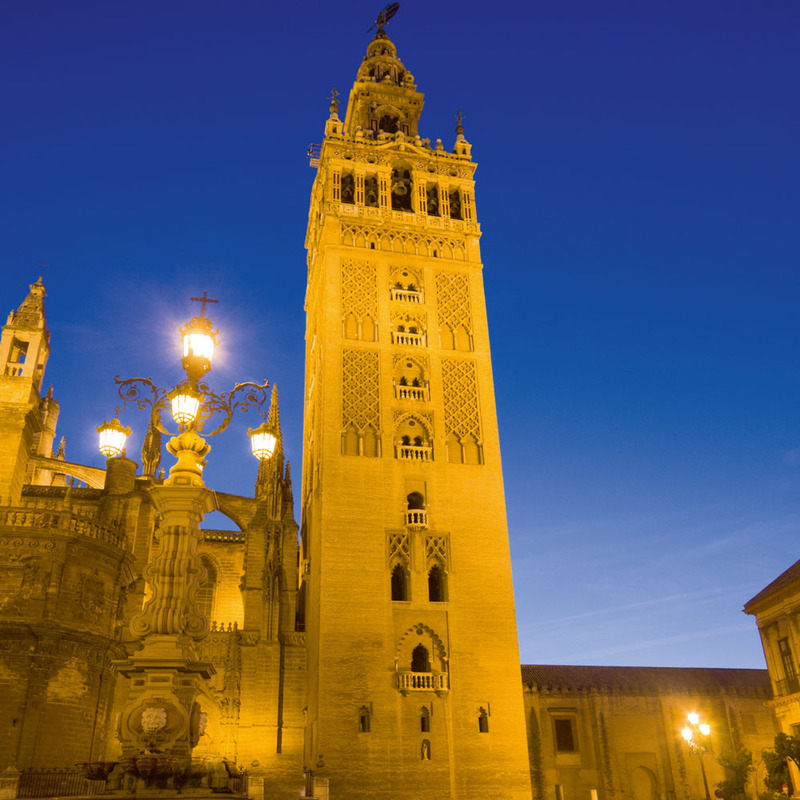 Seville, home of Carmen and Figaro, boasts the world’s largest Gothic cathedral. It was from here that first Columbus and then the conquistadors set sail to explore and plunder the New World, and from the 16th century unimaginable wealth poured in, building the city we see today. 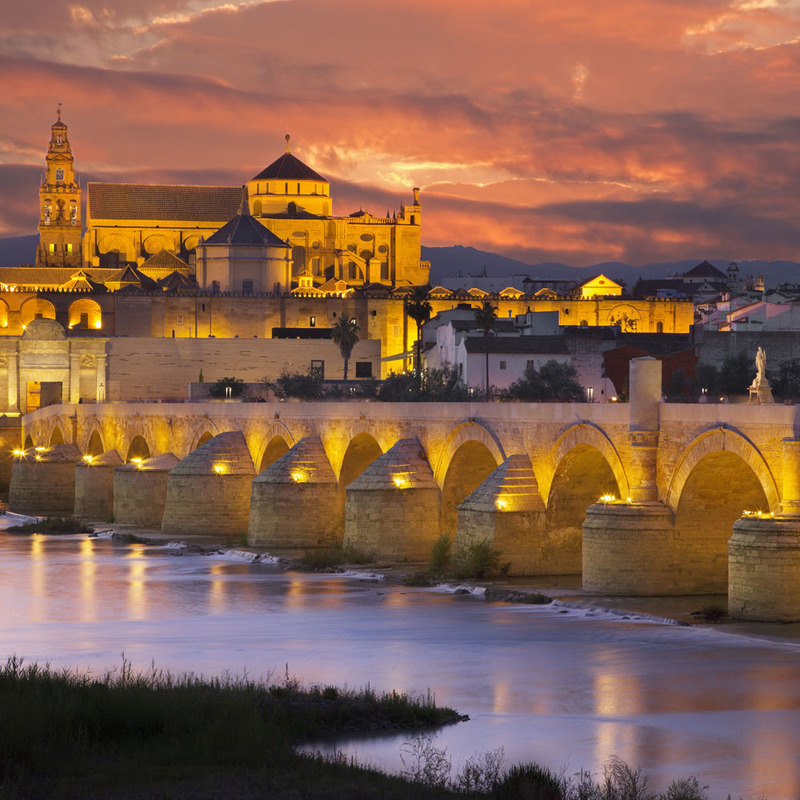 Córdoba has a bridge with 16 arches spanning the river, built by the Romans and amazingly still in use, and the Mezquita, built by the Moors and so architecturally dazzling and thought provoking it is beyond words. Granada has the magnificent Alhambra, the fortress-palace of Moorish rulers, dramatically situated, richly decorated and putting to shame almost anything we can conceive today. Nowadays, though, despite its culture and history or because of them, Andalucía is perhaps the most Spanish region in the country. Indeed, the popular image of ‘real Spain’ – of ruined castles, sherry, fiestas, flamenco and bullfights – has its roots here. The food is a delight, with the area noted for its seafood and its famous drink, the fortified wine from Jerez we call sherry. Try a glass of fino, a very dry yet refreshing sherry, while nibbling tapas, that great Spanish titbit invention. The people are charming – always ready to help, with a friendly attitude towards their fellow man and a love of life so typical of Mediterranean people. So, for an inspirational blend of timeless countryside, iconic monuments, romantic and vivacious cities, fragrant flowers and orange blossom, wonderful art and superb cuisine, all set in a region that welcomes visitors as honoured guests, welcome to Andalucía. Arrive at the airport for your flight to Malaga. On arrival, we transfer to the four-star Ilunion Hacienda del Sol. This hotel is ideally situated in undulating countryside near the village of Mijas. After breakfast we take a drive into the hills forming the beautiful backdrop to the coast and then arrive in Ronda, a city widely acknowledged as one of the most spectacular in Spain and which enjoys a setting so naturally dramatic it could be in a fairy tale. Built on a ridge and split by a most impressive gorge plunging down hundreds of feet, Ronda’s almost impregnable position meant it was one of the last bastions of Moorish power, only falling to the Christians in 1485. During the 18th century, the two halves of the town were joined by its iconic stone bridge, while another highlight is the palace that was once home to King Ferdinand and Queen Isabella, paymasters of Columbus. With lots of good restaurants and tapas bars, Ronda is a splendid spot to spend a few hours exploring its classic Moorish maze of cobbled alleys, full of whitewashed houses with window grilles. 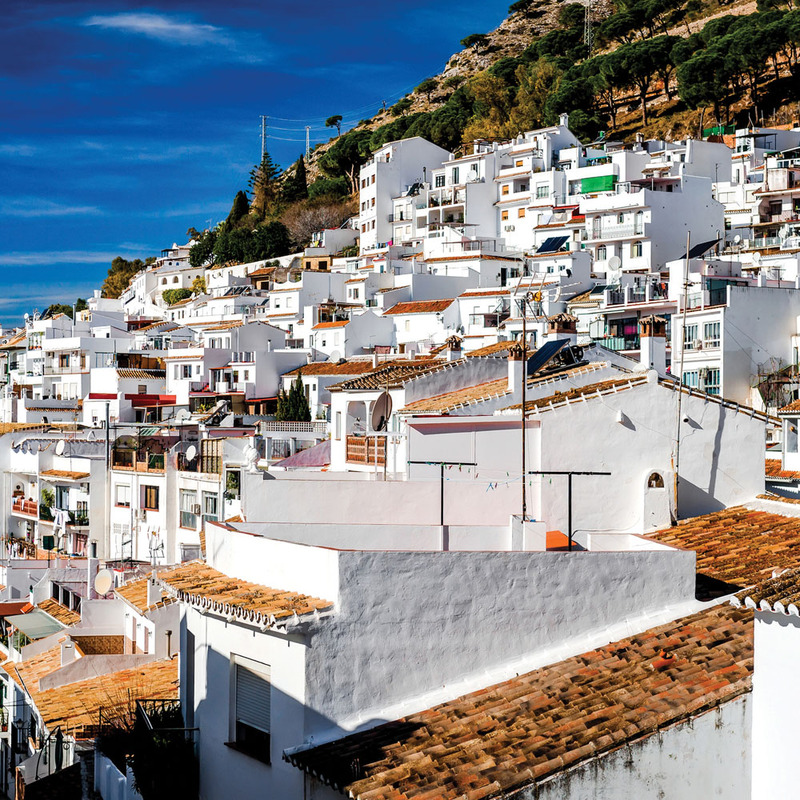 Much of the city’s appeal lies in its spectacular views and clear mountain air – Andalucía at its simple best. We continue our drive into the countryside beyond, which is both very scenic and quite isolated, so much so it is not unusual to see eagles and vultures soaring above or ibex roaming the mountains. We then arrive in Seville and our hotel, the three-star superior Don Paco, where we stay for the next three nights. Flamboyant, seductive, fascinating … Seville is all these and more. It is simply one of the most beautiful and charismatic cities in the world, with the serene River Guadalquivir flowing through its centre, a history spanning the centuries, a wealth of historic buildings, colourful back streets and peaceful parks. It has its origins in Roman times – the Emperor Hadrian, builder of the famous wall, came from here. During the 8th century the Moors arrived, stayed for five centuries and left a unique legacy still in evidence today. However, if one event changed Seville, it was the discovery of the New World and, fittingly, Columbus is buried in the imposing cathedral. Immense wealth poured in from Spain’s new empire and catapulted Seville into one of the largest and richest cities in Europe. Much of Seville was built during this time and it seems to have changed little in the last 500 years, with tiny twisting streets and hidden squares where the locals hide from the midday sun in high summer. Today, though, it possesses a vibrant, cultural spirit that is very special. The city of Figaro, this is the setting for another classic opera, Carmen. It’s also the home of flamenco, the origins of which are lost in the aeons of time. In short, this is the essence of Spain. After breakfast we have a tour of this beguiling city, during which we’ll see the world’s largest Gothic cathedral and the awe-inspiring yet enchanting Alcázar, the fortified palace of the Moors with a richness of decoration which will astound you. You’ll also see the Tower of Gold, so named as it was used to store plunder from the Americas, and much more. During the afternoon you’re free to explore Seville at your leisure and, if you wish, you could take a cruise on one of the many river boats. Today we have a free day. There are the ‘musts’ to revisit if you wish, such as the Alcázar, the fortified palace of the Moors with a richness of decoration which will astound you, and the cathedral, but also take time to wander around the Barrio Santa Cruz, the former Jewish quarter of the medieval city, and the smart pedestrianised Calle Sierpes, a street full of beautiful shops selling high-quality leather goods. The Maria Luisa Park is a beautiful display of colour where you can relax and indulge in a spot of people-watching. After breakfast we leave Seville and head east to another of Andalucía’s classic cities, arriving in Córdoba for our guided tour. Córdoba was the ancient capital of the Moors and is principally famous for a single building – the Mezquita – the grandest and most beautiful mosque ever constructed in the Moorish world. Dominating the centre of the Old Town, which was once the home of a thriving Jewish community, it is a building of extraordinary power and mystery with an arcaded hall supported by over 850 columns made of semi-precious stones. One can only wonder at the architectural brilliance of the builders all those hundreds of years ago, while northern Europe was still immersed in the depths of the Dark Ages. Another highlight is the immense, well-preserved Roman bridge. Córdoba is a delightful place full of patios drenched in the colour of thousands of flowers – the Spanish seem to take so much pride decorating their homes. 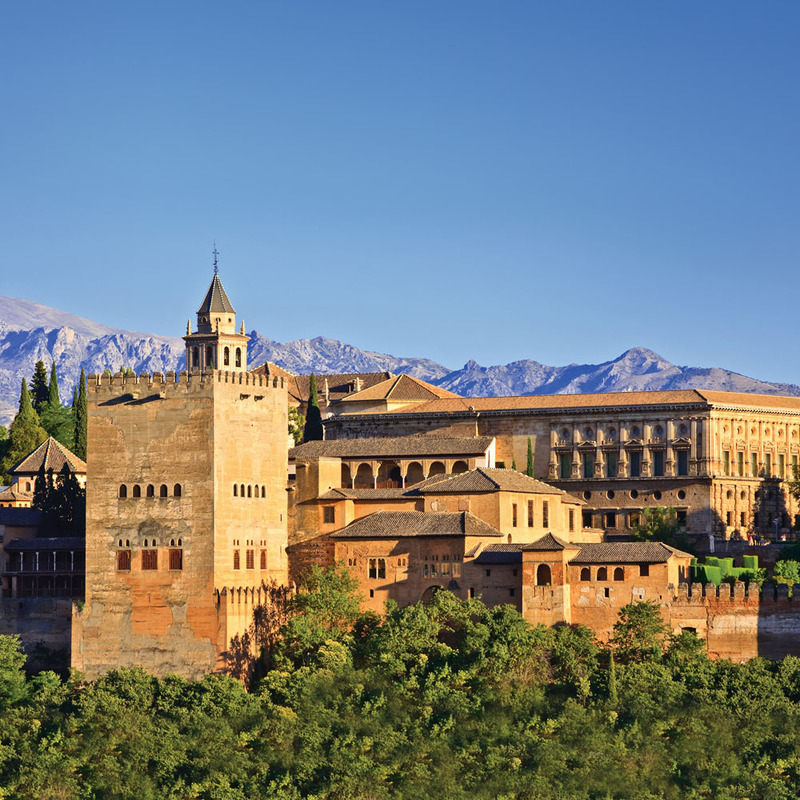 We then continue our journey to arrive in the city of Granada, the last stronghold of the sultans during the Middle Ages and home to the Alhambra, the most spectacular gem of Moorish Andalucía. As we approach Granada, there can be no more proof of the diversity of this corner of southern Europe. We pass through some very arid countryside with a landscape of dried riverbeds, giving way to rolling olive groves. In the distance is the spectacular Sierra Nevada, the highest mountain range in Spain. The landscape then becomes more fertile and picturesque, with ancient olive trees stretching off into the distance. Our hotel for the next two nights is either the centrally located four-star Hotel Corona, in the heart of the city and within easy walking distance of the principal areas of interest, or the four-star Hotel Alixares, well located opposite the Alhambra. Both are fully air-conditioned and ideal for a comfortable stay. Granada has a naturally dramatic location, nestling against the backdrop of permanently snow-capped mountains soaring majestically to a height of 11,000 feet. It is the perfect setting for the most perfect of architectural wonders, the Alhambra. So individual in its setting, so rich in its history and so exquisite in its design, this iconic building was the high point in Moorish culture. It is not just a palace, though. Some of it is a fortress, and much is given over to formal gardens full of roses and fountains, giving an incredible impression of peace and tranquillity. Today we visit the Alhambra, which for many people will be the highlight of the holiday, and you’ll also have time to explore the city as you wish. There is a myriad of twisting streets, the old Moorish quarter and the traditional gypsy area, all full of tiny unique shops, with seemingly every balcony sprouting flowers in a profusion of colour. There’s nothing better than taking a stroll through these streets, little changed in centuries, with pavements made of pebbles set in mortar and some so narrow that mules were the only form of transport. Granada also boasts some of the most distinctive old bars in Spain, many of them decorated with antique tiles, where taking a drink and a few tapas can be an excuse for a unique, authentically Andalucían experience. Transfer to Malaga airport for your flight home. The price of this holiday is per person, based on two people sharing a twin room. 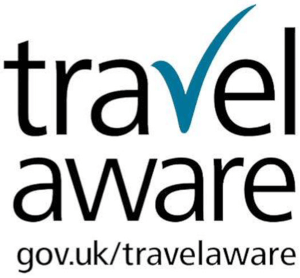 Single rooms are subject to availability at the relevant supplement. The price includes return flights, six nights’ accommodation with breakfast, all local taxes and transfers, all tours as mentioned, entrances to the Alhambra and Mezquita and the services of a Riviera Travel tour manager. Not included is the entrance to the Alcazar which is approximately €9.50 and payable locally. Also the entrance to Seville cathedral which is approximately €9 and payable locally. Wtness a spectacular flamenco performance filled with passion and energy in a charming theatre. Enjoy a complimentary drink while you admire the superb artistry of world-class dancers, singers and musicians, who bring to life classics like ‘Carmen’. Please call us to book this experience.